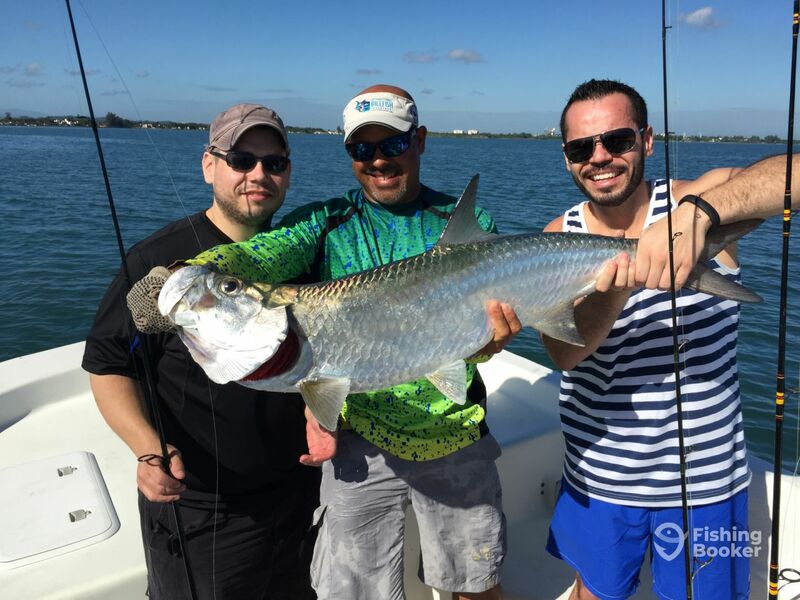 February 06, 2015 by Luis Umpierre Jr. and Luis Umpierre Sr.
Good Tarpon action today at the bay. 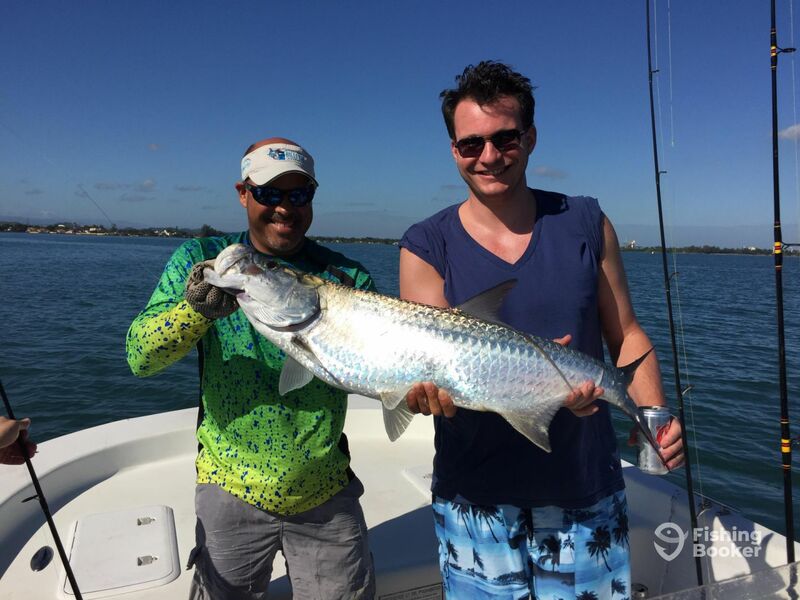 Orlando manage to land his first Tarpon. Not only that, he learned how to do it against a pretty good size one. Also a Jack Crevalle in the 30’s gave John the fish fight if his life and found out why they are considered one of the toughest pound per pound fish to fight. 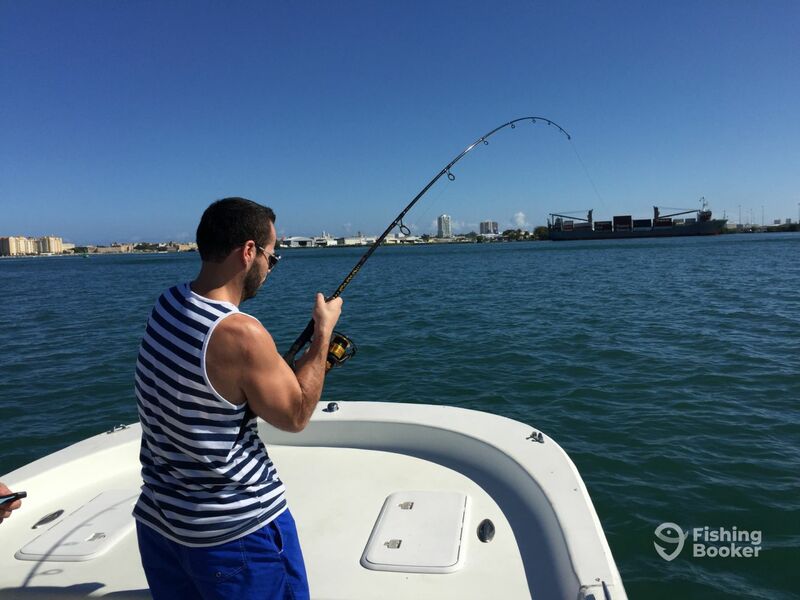 Josh also caught his first Tarpon too while we worked a school of small Tarpons rolling in the middle of the San Juan bay and Jonathan had a chance to fight the biggest Tarpin of the day which ended pulling the hook after one of the jumps. 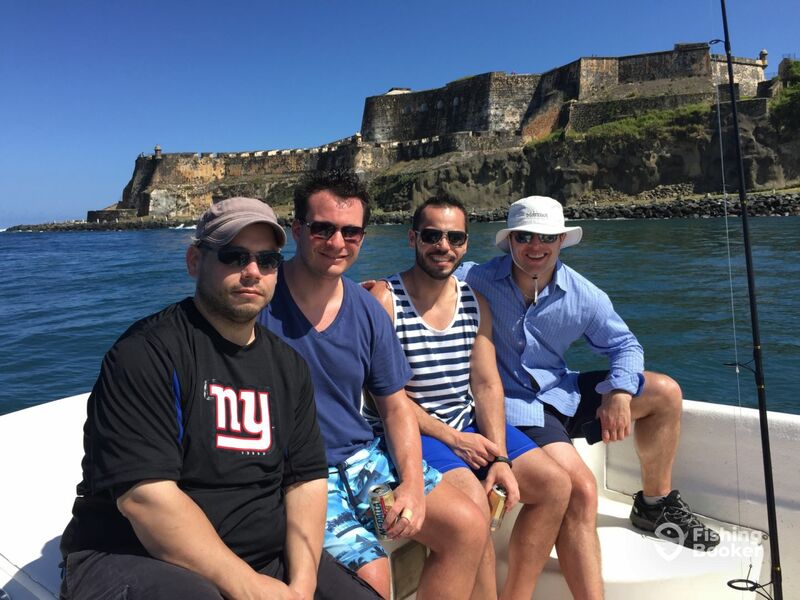 They also had a chance to land several “Cojinuas” along the way on their half day trip. Thank you guys for allowing us to be part of these unforgettable moments and very happy to know that you will be able to share this fishing stories in years to come.